Have you seen someone out and about with a septum piercing and wished you had one yourself? Or maybe you’ve decided you’d like more information before making this your next body piercing. 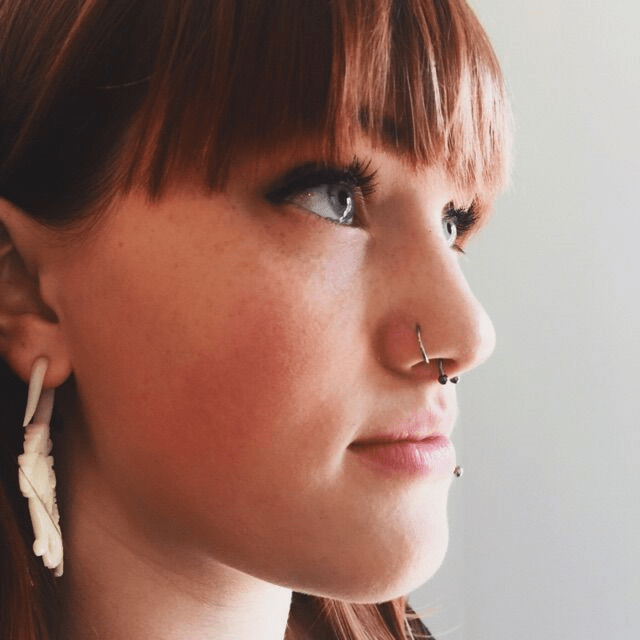 Our ten tips below will help you learn more about septum piercings and may convince you to try this hot trend for yourself. When piercing your septum, the jewelry goes through the septum in a thin area of tissue that divides the nostrils in the nose. Small hoops, horseshoes, and clickers all look stunning in this piercing. While this piercing has been popular in various countries for centuries, it has become a coveted piercing style in the past few years in mainstream society. Many people, including an increasing number of celebrities, are choosing to get their septum pierced. Septum rings come in all different styles, from substantial to delicate, simple to ornate, allowing you to display your personal style. Most piercees say that the septum piercing is less pain than a nostril piercing! The septum is not pierced through the cartilage, but rather through the thin piece of flesh in front it. By going to an experienced piercing professional who works in a clean environment, you will minimize the risk of infection from this procedure. Septum piercings can take six months to one year or longer to fully heal. However, you can usually change the jewelry after several weeks. Caring for a septum piercing is a straightforward process of cleaning the area with our ‘Wash-It! Soap’ and soaking the piercing with our ‘Soak It! Sea salt’ and not touching the area unless your hands are clean. When changing your septum ring, you can use a small amount of jojoba oil or water on the area so that replacing the jewelry goes smoothly. Some jewelry in septum piercings, such as a horseshoe, can be easily hidden by flipping it upside down and gently pushing it up into your nose. If you remove your septum jewelry permanently, the hole will not be easily visible. Changing out your own septum jewelry is simple, and once you have the hang of it, you won’t usually need assistance with jewelry changeouts. Stop into Almost Famous Body Piercing today if you are ready to take the plunge and get a septum piercing or if you are seeking more information about our piercings. Our trained, professional staff will guide you through the process and assist with your piercing aftercare needs.